The Blenheim Comfort Height Close Coupled WC and Cistern's stunning classic design will fit in beautifully into any bathroom. 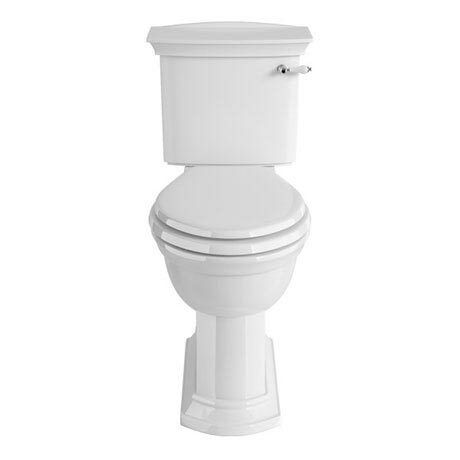 Features a 6 litre operated flush and manufactured from high grade vitreous china ensuring a quality finish and long lasting durability. Select from a choice of 4 stylish flush levers to add your own personal finishing touch. For peace of mind Heritage offer a lifetime guarantee on all their sanitary ware.